I do wonder why it takes two years to make the perfect macaron! 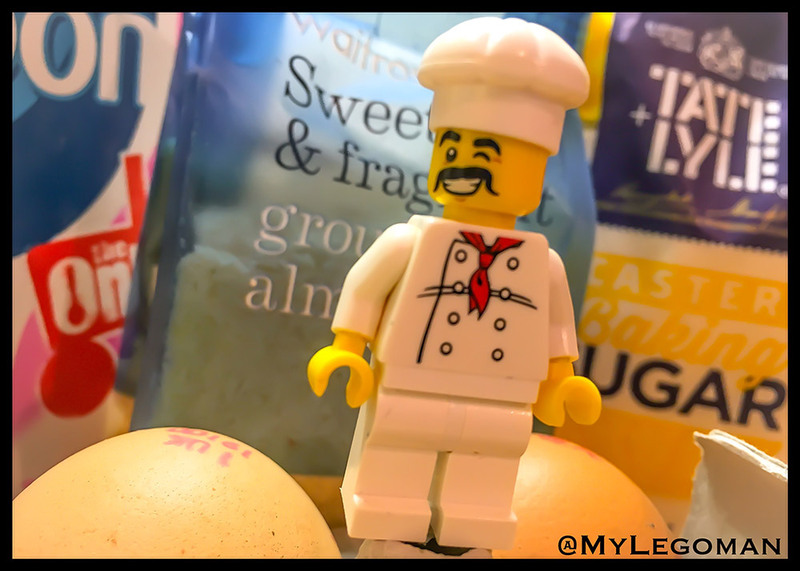 Its just eggs, sugar and almonds! How difficult can it be to mix three ingredients? I guess I am going to find out? My first batch, to attempt the most straightforward recipe I could find… 4 basic ingredients how difficult could it be? I mixed the icing sugar and ground almonds putting them through a sieve twice. Whisked up the egg whites and added the caster sugar slowly, then added the pink and rhubarb flavour. 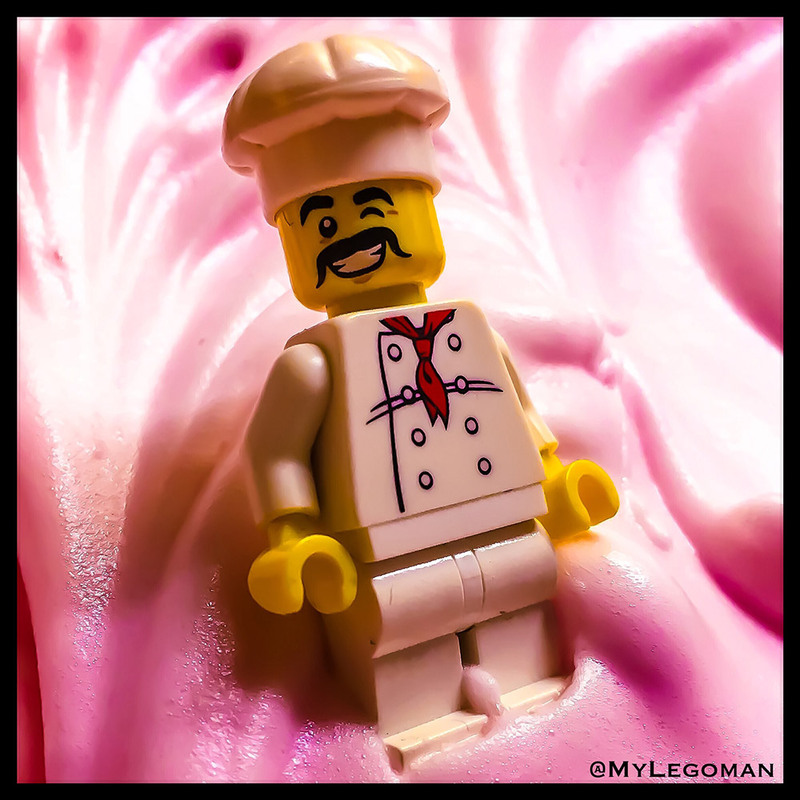 I folded the ingredients together and piped onto silicone sheet, waited and waited for the “feet” to appear …… instead baby pink slime oozed across the baking tray slowly…. Decided they were rubbish but should finish the process off and baked for 15 minutes at 160c….. 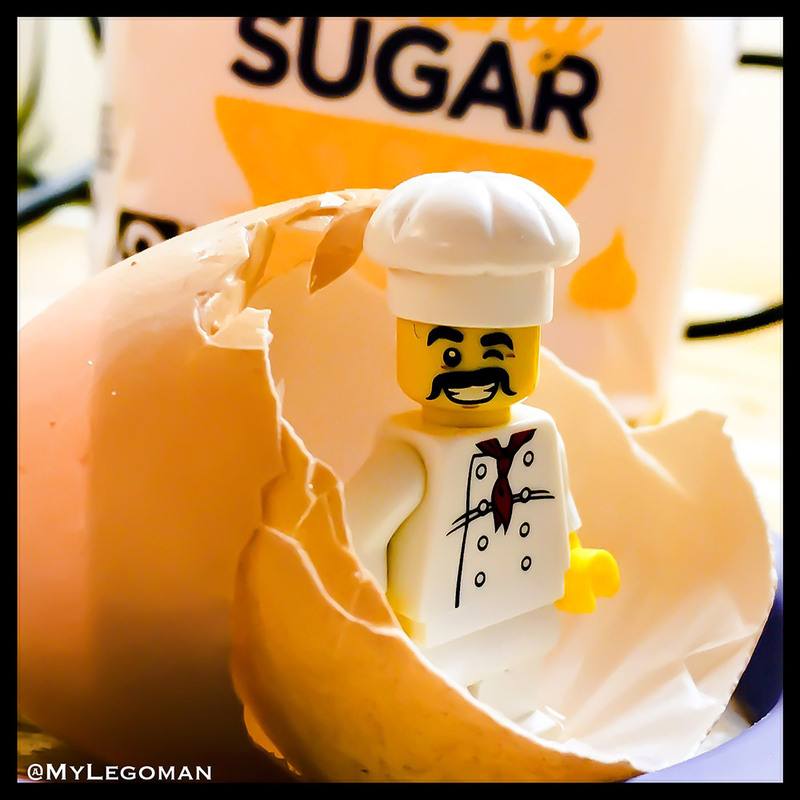 Taking temperature advice from cooking buddies on Twitter……. However apart from making the kitchen into a sticky mess and creating a mountain of washing up…. They were far from the image in the recipe book. 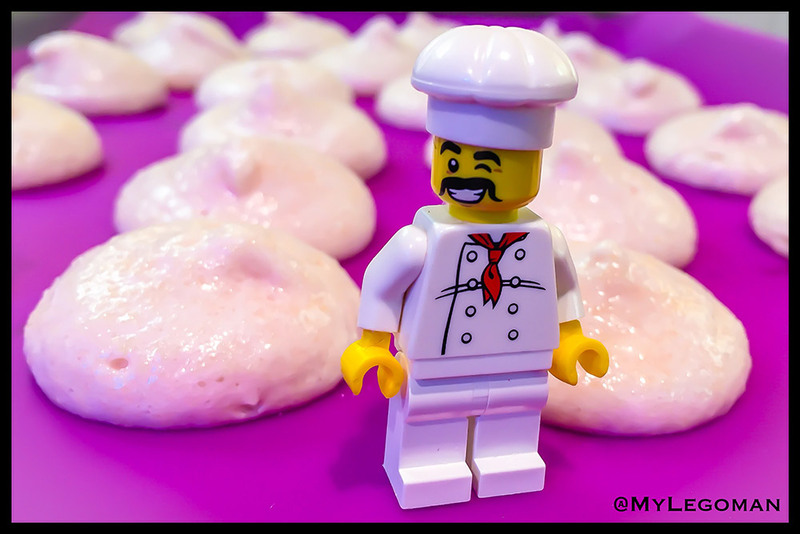 The macrons lacked flavour and colour….. And well the texture needs a great deal of work. I now understand that I need much more practice ….. And well in two years I might just get there! However I am far from deterred…. 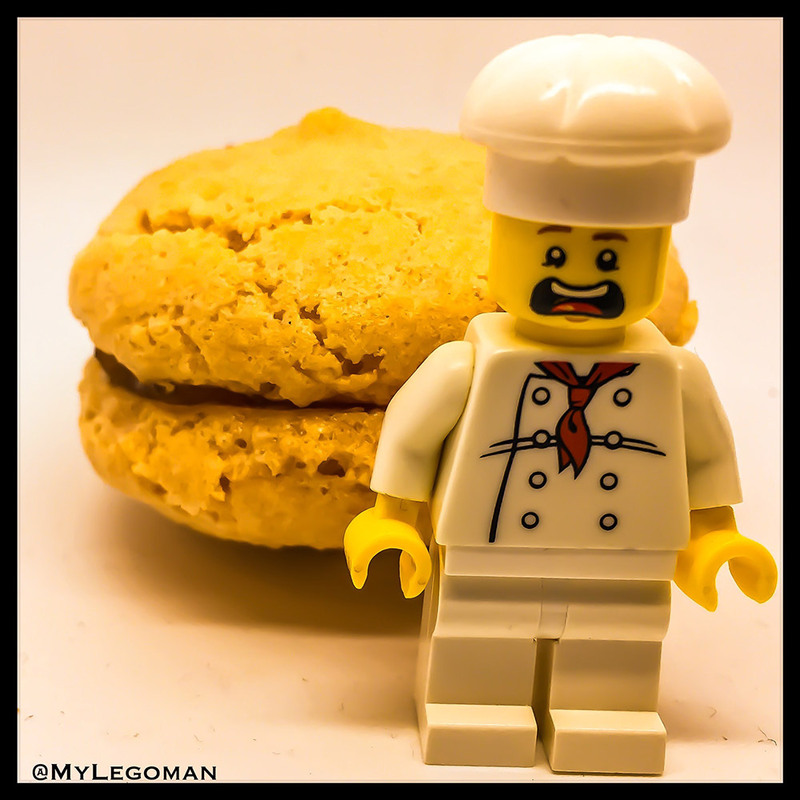 It is game on mylegoman v macaron!